Soon, my pretties, soon! 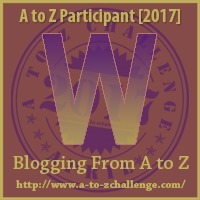 The 2018 A-Z blogging challenge will begin! Mwahahaha! Here is the story, in its entirety. 🙂 I ended up making a couple of “post-production” edits and I think the final word count came to something like twenty-eight. Thank you for indulging me, and congratulations to everyone on finishing the A-Z Challenge! Alex Bought Corrine Diamonds Every February, Gladly. He Instinctively Just Knew Loving Miss Nevada Obligated Purchasing Quality Regal Stones; Till, Ultimately, Valentine’s Day Waned its eXtreme Yearly Zeal. Alex Bought Corrine Diamonds Every February, Gladly. He Instinctively Just Knew Loving Miss Nevada Obligated Purchasing Quality Regal Stones.